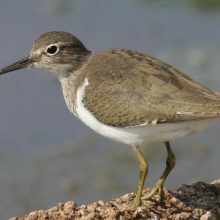 Elegant sandpipers make their summer appearance. 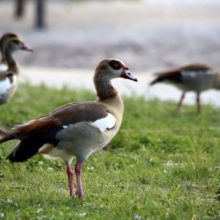 The Egyptian goose pairs have produced their second brood, with the first brood looking almost adult now. These are noisy and aggressive birds who stick together, are brightly coloured and smaller than other geese on the pond.